Phoenix Dance Theatre is delighted to be hosting a Choreographers and Composers Lab in July 2015; a two week intensive in our state of the art dance centre in Leeds. Designed for professional choreographers and composers at an early stage of their career, this course will offer a rare opportunity to focus on the creative process of research and experimentation with the emphasis on composition in music and dance. The project will enable participants to enhance future career prospects through experiencing collaborative approaches to creating work and developing partnership skills, in a safe, yet challenging environment without the pressure to produce final results. The course will be led by Phoenix Dance Theatre’s Artistic Director & Choreographer Sharon Watson and Independent Music Director & Composer Ken Hesketh. 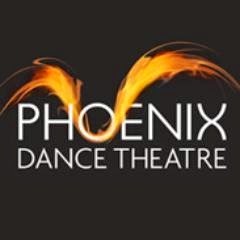 Phoenix Dance Theatre is looking for four choreographers and four composers to work with twelve professional dancers and four musicians to collaborate over an intensive two-week period. Participants will take part in daily creative periods, respond to creative tasks, create and develop new choreographic / composition practices, and through workshops and lectures engage with visiting artists and other guest professionals. The spirit of the course is to provide a secure structure while remaining flexible and responsive to the needs of participants. For more information and application details please download the relevant Requirements and Application form.